Which Food Processor Makes Shredding Vegetables Easy and Fast? 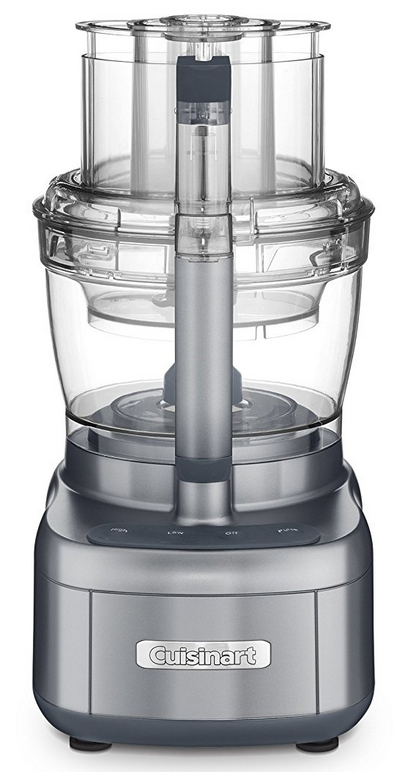 Is A Food Processor a Luxury Item ? If you think a food processor is an unnecessary luxury appliance, especially when making sauerkraut, keep reading because I just may change your mind. It makes life easier, and makes the sauerkraut better, and I have a recommendation of one (or two) for you to help you make the best choice. I always use my food chopper when making sauerkraut. It shreds the cabbage (and carrots, apples, or whatever else I’m using) into pieces that are more uniform in size than I could ever chop. Uniform size is important when fermenting vegetables, because you want everything to culture at the same pace so that the kraut is crunchy throughout, not mushy in parts and hard-as-can-be in others. Also, this appliance makes the work super-duper fast. I understand that some people may think that chopping vegetables is therapeutic, and I agree, but when I have a lot to do (like when cooking for 5 or more), all that excess time in the kitchen shredding and chopping takes away from time I could be using to make the rest of the meal from scratch and enjoy it with my family. What’s the Best Food Processor? Those retailers also have smaller sizes of food processors available. I like the wide-mouth feed tube, with the smaller tubes nested inside, so I can stack narrower foods like carrots upright in either the wide, medium or small tubes, depending on how many I’m processing, and push only that amount through. Also, the wide feed tube allows slicing of whole fruits and vegetables like cabbage and squashes, saving me time in preparing the food for processing. The motor is strong and consistent, and the cutting blade is really sharp! What Can a Food Processor Do? A food processor makes it easy to shred cabbage and other vegetables for sauerkraut and its variations. It also simplifies the process of slicing, chopping, julienne-ing, mixing, grinding and pureeing all kinds of foods. Make appetizers such as hummus, dips, applesauce, etc. Make homemade baked sweet potato fries (much healthier and much tastier than regular fries). I bought a French-fry blade for this.